SparKlean Pool Care is excited to be part of a new movement of professional pool care providers that elevates service above all else. When you call us, we answer. When we quote you a price, we honor it. We charge a straight forward monthly fee with no hidden costs. Our specialty is pool cleaning in Jacksonville FL and the surrounding areas. We are also an authorized Life Saver safety fence distributor in north Florida. SparKlean Pool Care is passionate about pool care and maintenance. We will ensure that your water is at its optimum chemistry and your pool or spa is ready for your enjoyment! 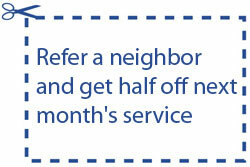 Argyle and Oakleaf area pool owners, ask about the neighbor discount. We provide pool cleaning in Jacksonville, FL and the surrounding areas. If you don't see your city listed, please call us at 904-424-2012. Pool cleaning Jacksonville FL area ~ From green to SparKlean!